Don’t leave your home vulnerable to these fire risks. One of the most common types of home fires are electrical ones. If you would like to reduce your risk for a home fire, then make sure you watch out for these electrical fire risks throughout your home. One of the most common electrical causes of fire is faulty or malfunctioning appliances. This happens most commonly with older appliances. To reduce this fire risk, you should inspect your older appliances for things like frayed cords, loose receptacles, or other damages. If you do not feel confident in an appliance’s safety, you are better off replacing it completely. Surprisingly, another common cause of home fires is the improper installation of light bulbs in lamps and lighting fixtures. 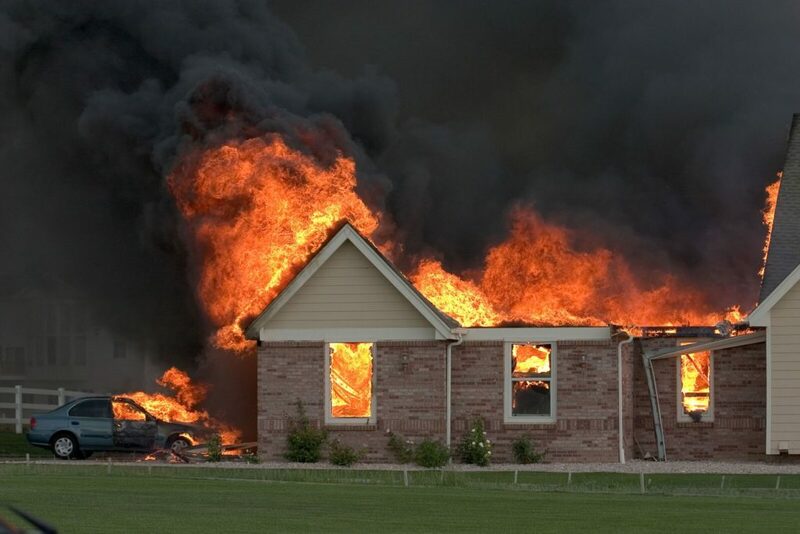 Oftentimes fire occurs as a result of installing high-wattage bulbs into lighting fixtures that are not equipped to handle this amount of power. To prevent this fire risk, you should check the specifications for your home’s lamps and lighting fixtures to ensure that you are using the right bulbs for them. A considerable percentage of house fires start as a result of misused extension cords and powers trips. For instance, fire can break out from running an extension cord underneath a carpet or from plugging too many things into a power strip at once. Ultimately, extension cords and power strips are not a safe or permanent power solution for your home. Rather than risking a fire, you should speak to an electrician about installing additional power outlets in your home. These are some of fire risks that you need to watch out for in your home. Want another way to keep your home safe? Then make sure you have the right homeowners insurance protections in place. For assistance with your home insurance needs, contact the team at Udell Family Insurance today.